A fully featured WordPress theme for real estate business. It is completely provides all the needs of real estate owners and agents. Capable of handling properties, agents, agencies easily makes it as unique. 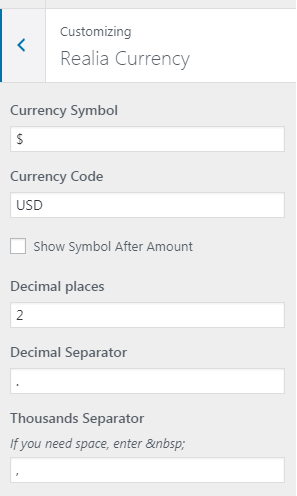 Bonus feature: Your user can add thier properties to your site and you can earn for that. 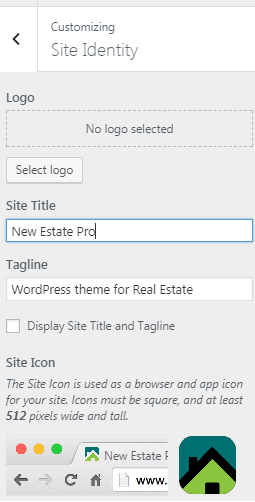 How do I install New Estate Pro theme? Click ‘Browse’ and Locate ‘newestatepro.zip’ Theme in your computer. Select ‘newestatepro.zip’ and click ‘Install Now’. If you prefer to install via FTP, follow these steps. Unzip newestatepro.zip to your Desktop. Using an FTP client to access your host web server, go to wp-content > themes and upload your new copy of your newestatepro theme. Now you will be asked to install required plugins. Please install all those plugins and activate by clicking ‘Begin installing plugins’ link. You are ready to go to next part now. Download the below content first and follow these steps to make your site like our demo page. How do I install demo content? select the “A Static Page” option which is under the heading “Front Page Displays”. select ‘front’ from the dropdown under ‘Front page’ option. PS: ‘Front’ and ‘Blog’ options will appear only when you have installed our demo content. 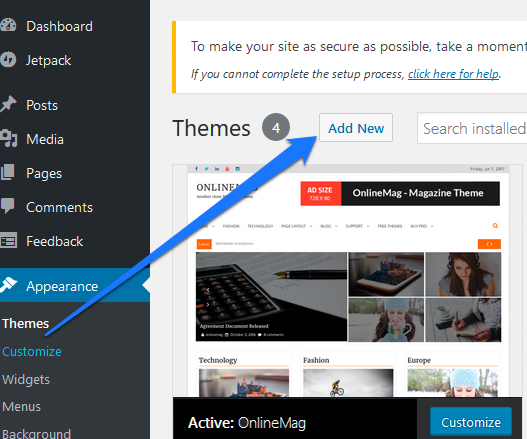 Else you can Create a new page by going to Pages > Add New in the WordPress Dashboard. Then you can choose those here. 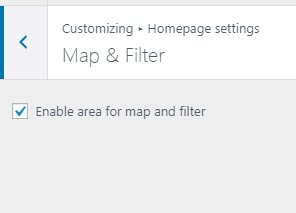 Before we dig into customize homepage, we need to set few basic things. go to Customize > Realia General > choose the appropriate options. These settings are useful if you let your users to create properties by their own. 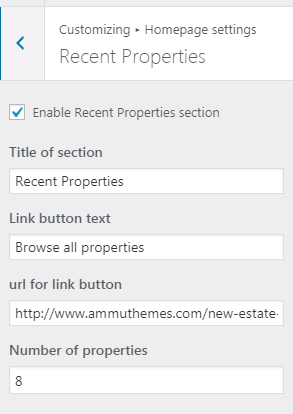 If you are the only person who add properties to your site then these settings are not necessary. Anyway don’t forget to fill the Google browser key, it is must if you prefer to show google map. go to Customize > Realia measurement > Give your preferred measurement unit. It will applied in all your properties as default units. Go to > Appearance > Customize > Site Identify. Tagline: Description of your site. Un tick the ‘Display Site Title and Tagline’ if you wish to show image logo. Site icon also known as fevicon which will be shown on browsers tab. Provide social website links if you want. 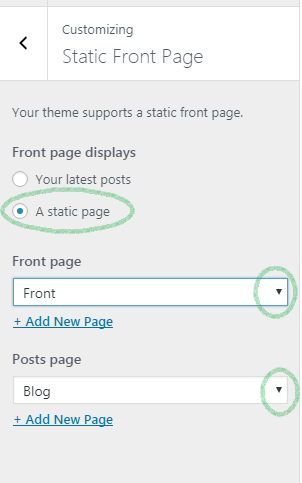 Before dive into the Homepage settings, make sure you have already set a static front page. Refer ‘Setting Custom Homepage’ above. Tick Enable banner, edit all the placeholder content with your’s. Add Title and Link text as you wish. Set number of properties to show. Multiply of 4 would give good alignment. Set title and and url text.